In the event you’re forced to spend an unexpected night outside in cold temperatures, put the odds of survival in your favor with this Emergency Bivvy. 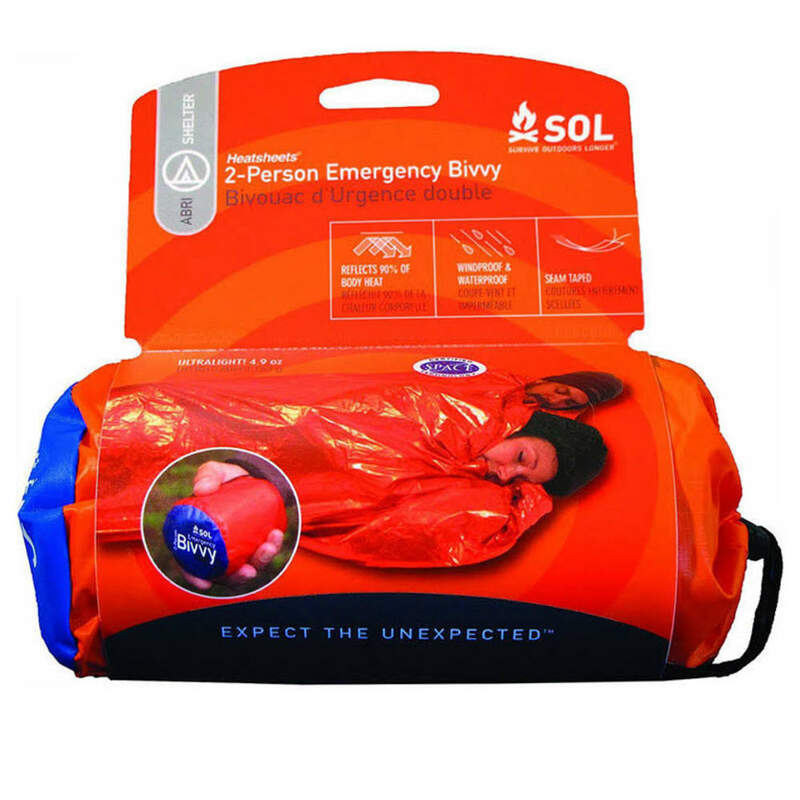 Made from the same material as Adventure Medical Kit’s renowned emergency blankets, this Bivvy reflects 90% of your own body heat back to you. The fully sealed design prevents snow and rain from getting inside, and the XL size can hold two people.